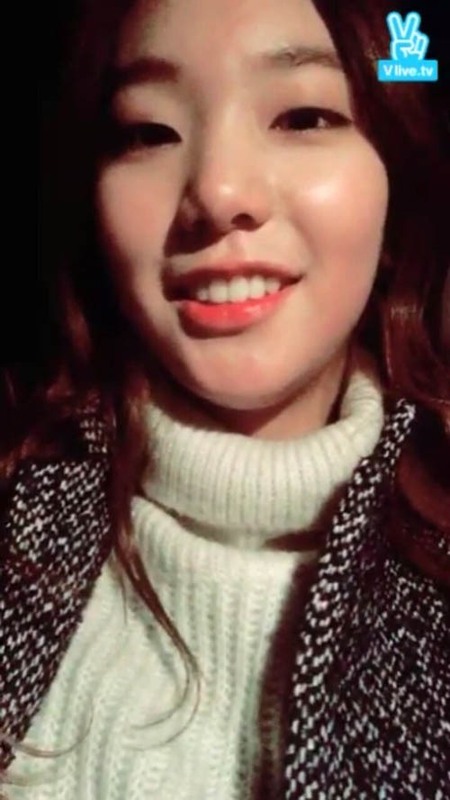 K-pop sextet GFriend met their fans to mark the new album’s release at the showcase, which went live on Naver’s V app Monday. During the event attended by 200 fans, much to their delight the singers performed their hit songs “Glass Bead” and “Me Gustas Tu,” and casually chatting with them. “This moment will be memorable for long and I hope you also (fans) don’t forget today. We will work harder for you,” Yuju added. When asked who they want to collaborate with for a song, they picked rapper San E.
“San E supports us a lot. (If we have an opportunity), we want to work with him,” Yuju said. GFriend’s new album “Snowflake” with the title track “Rough,” released Monday, went straight to the top on local music charts. 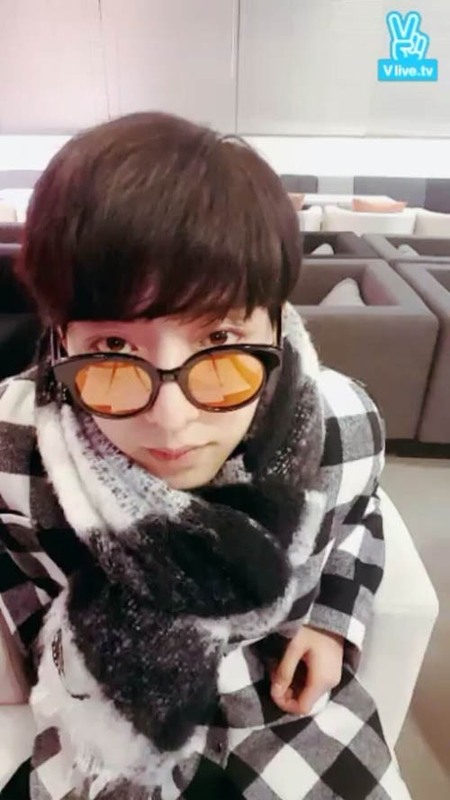 Donning sunglasses with yellow lenses, Lee looked somewhat gloomy because it was his last show. At the end of the show, the number of hearts stopped short of reaching the goal and hit nearly 84,000. 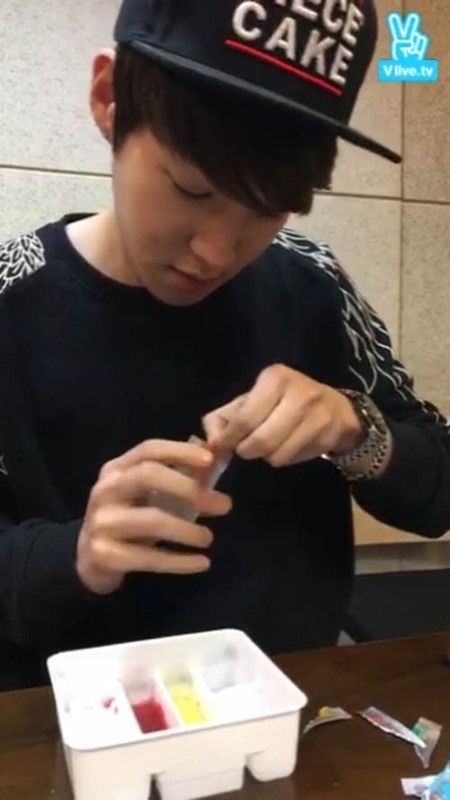 Also on Monday’s broadcast was rock band DickPunks’ vocalist Kim Tae-hyun, making sushi with powder. He made sushi following the recipe on blogs and was satisfied with the taste. Naver’s newly launched V app, which allows viewers to see stars’ day-to-day life and interact with them in real time, is now available on Android and iOS. Visit www.vlive.tv/ to download the latest segment.